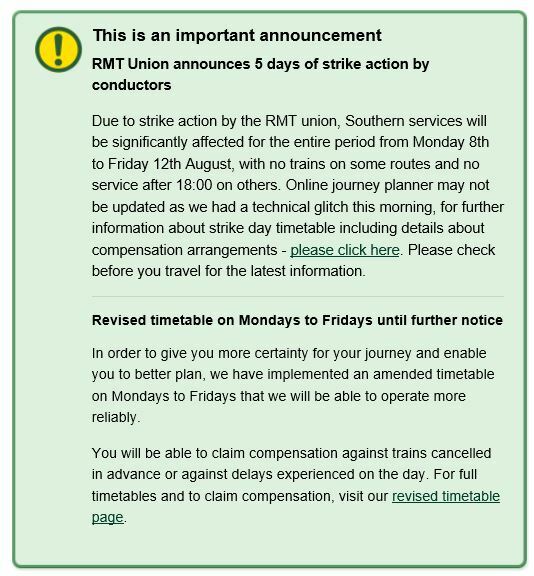 The southeast of England is in minor meltdown, not from Brexit, but from a five day strike on Southern Railways. Their service is even worse than usual. 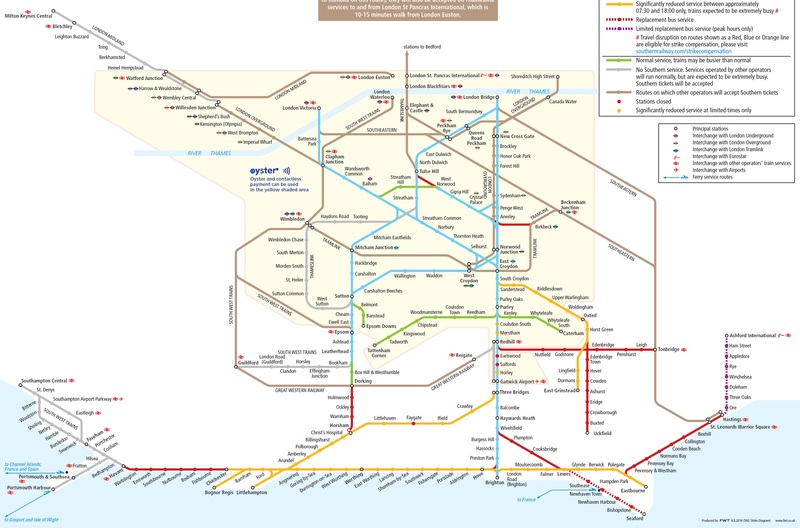 And a map shows a reduced service and closed stations. Our local station, Earlswood, has shut down, so I’ll get to Gatwick for a work trip by bus tomorrow. However, there are heroes out there! Last month the BBC reported…. 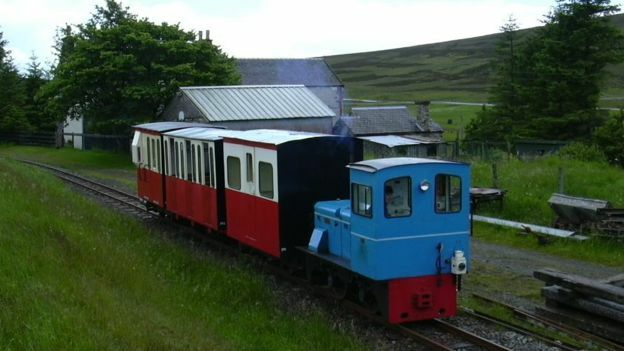 A “replacement” train service is being offered by a narrow gauge railway between two remote villages in southern Scotland during a road closure. The B797 between Leadhills in South Lanarkshire and Wanlockhead in Dumfries and Galloway is shut for resurfacing. The rail service is being run to help people from Wanlockhead to get to the doctor’s surgery in Leadhills. 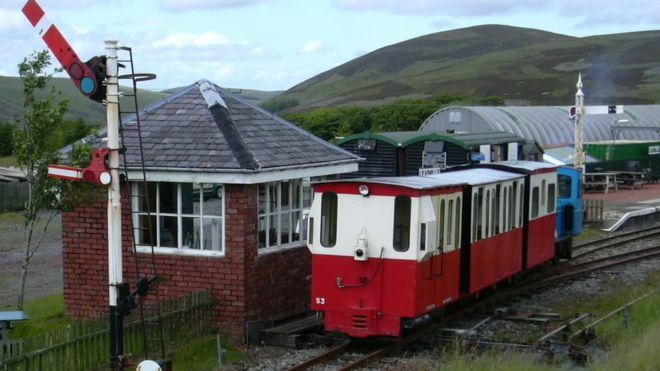 It is also being offered as a “commuter service” for some workers at the Museum of Lead Mining in Wanlockhead. “This service will be unique in that it is usually the other way round, with bus replacements for trains,” said David Winpenny of the Leadhills and Wanlockhead Railway. The trains are usually run at weekends during the summer months on what bills itself as “Britain’s highest narrow gauge adhesion railway” reaching 1,498ft (456m) above sea level. They link Leadhills to a terminus at Glengonnar which is less than a mile from Wanlockhead. The road is shut for resurfacing for up to a fortnight with a diversion in place via the A76, B740, B7078 and A702. Nice to have a good news story off the railways! PS I’ll be careful and not say who the villain is in the strike…. This entry was posted in Inspiration, Out and about, Prototype, Weird and wonderful and tagged humour, inspiration, prototype, railway. Bookmark the permalink.